Maurice Wiles shows that it doesn't require a vast tome to present a penetrating challenge to traditional doctrinal positions . . . The great merit of this important study is that it both highlights the need for massive rethinking of the self-understanding of the Christian faith and challenges those who engage in such rethinking to pay strict attention to what the evidence demands. Doctrine done this way may replace some of the richness of imaginative speculation with a welcome "freedom from certain inevitably fruitless and frustrating lines of enquiry". This book is important. It deserves to be read carefully and its challenge profoundly considered' (David Pailin in The Expository Times). 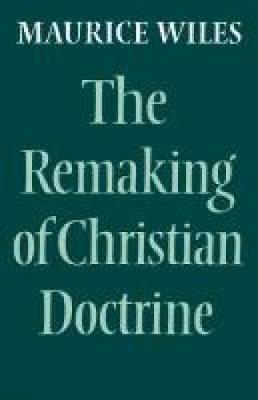 `This largely non-technical and text-free book is distinguished by its author's intellectual power (manifest in the rigour and brevity of every page) and by his courageous seriousness in tackling the greatest themes open to a theologian - on the person and work of Christ, the Holy Spirit, the eternal hope, the nature of doctrine itself. He is relentlessly honest in relying on his experience, study and thought. Before our eyes he is driven to faith and to agnosticism - and back again' (David L. Edwards in the Church Times).